School uniforms, embroidery, In the age of the customers, it seems so easy to find everything that you need. You go shopping and you know exactly where to go and where you will get the best product you were looking for. 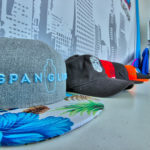 However, you are also sure that there will be other people wearing the same T-shirt or the same hat and this is something that will lower your customer satisfaction. As we all are aiming to the uniqueness in style, it is especially hard to accept the fact that even choosing a designer clothes will not guarantee that your clothes is one of a kind. That is how embroidery becomes a perfect solution. In case, you are not familiar with embroidery, it is the art of working ornamental designs onto fabric. A simple T-shirt with customized embroidery will become unique and extraordinary. 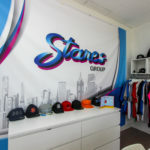 When you choose Stares group, your satisfaction will be complete as high-quality design is our number one value. 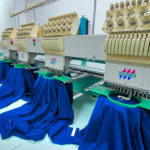 The range of services and clothes that we offer is so varied that there always will be the most tailor-made solution. 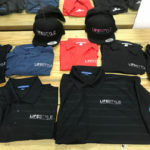 Even with our thorough understanding of the importance of customized items, there always will be places where exactly same outfit is required. One of the most common examples is school. The first recorded use of school uniform is dated to 13th century in England. Nowadays the popularity of school uniforms is still growing. There are several proved reasons why school uniform is a good solution for students of different ages in different countries. As we at Stares group are engaged in providing school uniforms, we are highly interested in the topic and we have done our best to find the biggest advantages of it. Every regular student will have countless reasons for not being concentrated at the lesson. In fact, when some of those reasons might be superficial, colorful and casual clothes are proven to be distractful. Having common school uniform, on the other hand, helps students stay well-organized and focused. With a high social inequality, bullying became common in schools and wearing school uniform can be a good solution against this problem. When all the students have the same outfit, there is at least one reason less for violence among classmates. Wearing uniform can also take away the pressure from parents regarding which clothes to buy for their school children. Every parent may have a calm mind by being sure that their kid looks exactly the same as his classmates and will no longer be judged by clothes. This is one of the coolest advantages of school uniform as school pride will stay with a child forever. 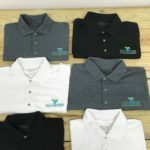 Having customized uniform that represents school’s values and has an embroidery on it will definitely increase the gratification of students towards there school. Additionally, school has to prepare its students for real life and teach them how to be a member of a team. If this feeling of unity is acquired at an early age, it will be easier for student to adapt to different situation and accept people the way they are in the future. Once all the advantages are considered and the decision of school uniform is made, there comes time to make a choice of color, shape, style and more. Stares Group can take all the concerns away and take the full responsibility of creating the best uniform for your school. Adding customized embroidery will create additional value to the uniform and make students wear it proudly.